Ha Noi - “I started using birth control after our fourth child,” says Thuy Anh (37) as she busies herself in her garden at her home on the southern outskirts of Viet Nam’s capital. Both Thuy Anh and her husband migrated from the largely rural northern province of Thai Nguyen, famous for its quality teas. With Thuy Anh’s job selling tea grown near her home town, and her husband’s job as a driver, the family just about makes ends meet. 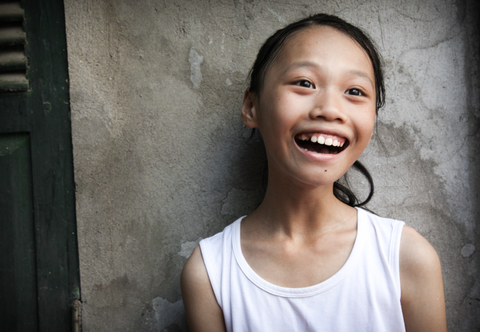 But by using family planning, Thuy Anh has helped secure the family finances. “We can’t afford to have another child either, so we’re doing okay right now,” she says. Viet Nam has invested heavily in making family planning available across the country, with the rate of modern contraceptive use nearly doubling from just 37% in 1988 to 67% in 2016. Related to this, the country’s maternal mortality rate has dropped dramatically from 233 deaths per 100,000 live births in the 1990s to 58 per 100,000 live births in 2016. Yet despite progress, for young people, particularly unmarried couples, the unmet need for family planning runs as high as 30%, and many of the hundreds of thousands of people migrating from rural to urban areas each year also run the risk of missing out. According to research led by the United Nations Population Fund (UNFPA), many young people face stigma around accessing contraceptives, making it more difficult for them. Among youth under the age of 18, the unmet need for contraceptives is up to 50% in some areas. “What we need is improved access to services and information,” says Duong Van Dat, UNFPA’s Programme Officer for Sexual and Reproductive Health in Viet Nam. Speaking a joint government and UNFPA event to mark World Population Day, Viet Nam’s Vice-Minister of Health, Nguyen Viet Tien, spoke of the broader societal benefits from investing in family planning. Astrid Bant, UNFPA’s Representative in Viet Nam, says that family planning is key to maintaining Viet Nam’s social and economic development.